I started my second day in New York with a cut and highlight at Cutler Salon in Soho. They do the hair for so many NYFW runway shows (Anna Sui, Badgley Mischka, Cynthia Rowley, Nicole Miller, Toray Wang, Banana Republic, and more). I'm definitely going to make a point to get my hair done with them every time I'm in NYC. My hair came out so good! I'm obsessed. After the salon, I spent the afternoon zig-zagging all over Manhattan going to meetings. I stopped by the Obviously HQ for an influencer event they were hosting. I was able to meet Mae, the founder. She was lovely! Next, I went to BaubleBar's HQ to preview their Fall collection. As you would expect, the Baublebar office, showroom, and newest collection were all super GORG. And everyone there was so fun and sweet. After my final meeting of the day, with a wonderful PR firm, I went back to my hotel to eat a quick dinner, change and meet up with my bestie who flew in from Chicago to hang out with me that weekend. 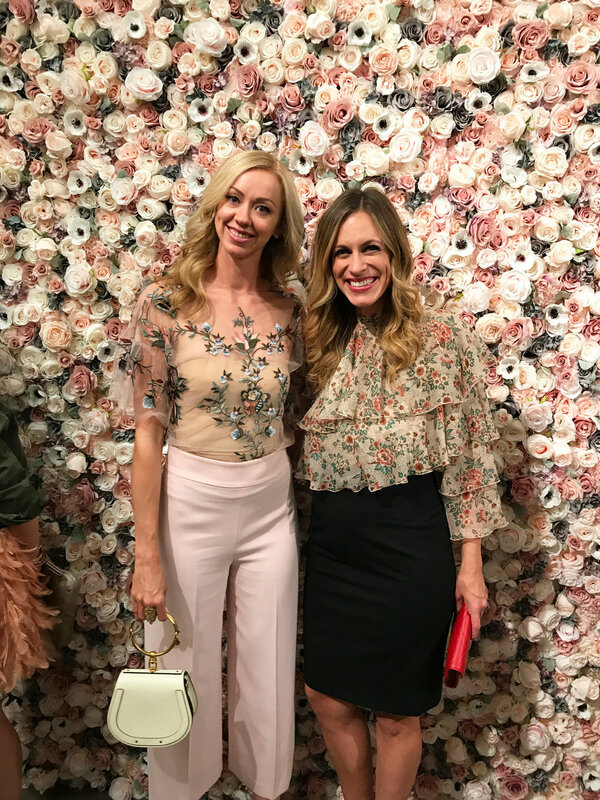 Friday evening we attended the Michael Costello Couture and Bridal Spring/Summer 2018 Presentation. 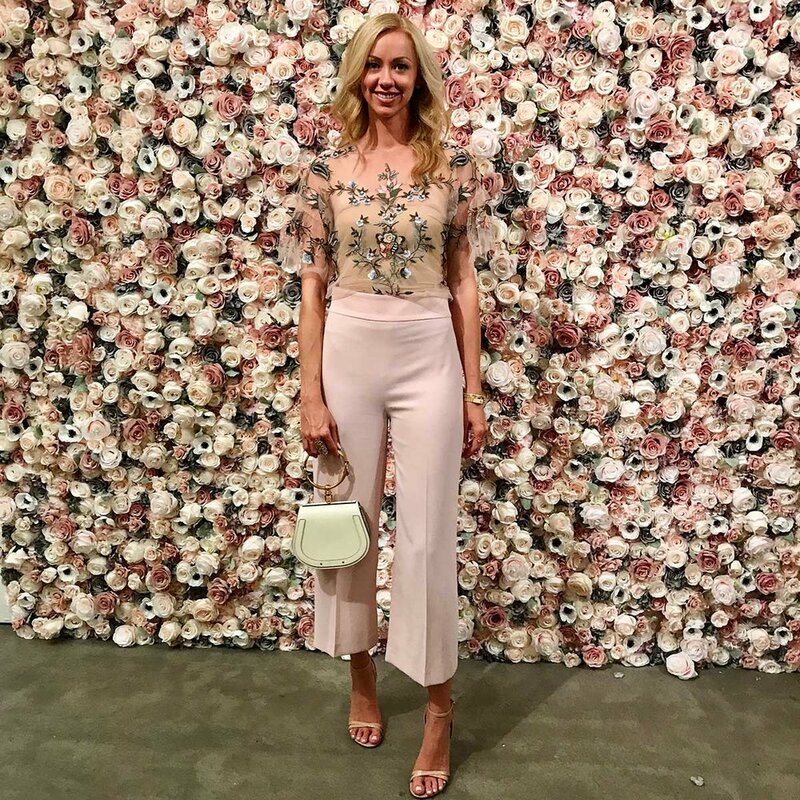 It was held in an art gallery complete with the most gorgeous flower walls I've ever seen. As always, the collection was exquisite! Michael Costello knows how to flatter the female form like no other. The details and silhouettes of his gowns were all quite breathtaking. You will see what I mean in the video below of the collection. With my girl Andrea! We've been besties for 15+ yrs. Love her so much! She's a family, travel & food blogger at @wholesomemomma & thewholesomemomma.com.